After what seems like forever on the exhibition circuit, Mark “messhof” Essen’s fighting game Nidhogg has been finally released, on Steam. In it, two players face off in a fencing duel across one of four surreal arenas. Death is temporary, but comes swiftly and gives the other player a brief opportunity to race towards the “goal-zone”, thereby winning the match (and receiving the honor of being devoured by a dragon). Early versions of the game let you attack, parry, jump, and throw your sword, but the release adds some new moves, like sweep kicks and jumping off walls. 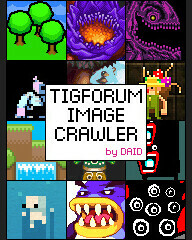 Nidhogg offers local and online multiplayer, a single-player mode, and a tournament mode that supports 3-8 local players. The dynamic soundtrack is by electronic musician Daedalus. 0Space creator Teknopants has released a new game focusing on local multiplayer, Samurai Gunn. You play a samurai wielding a sword and a gun in a small arena, and the first player to 10 kills wins. The fast paced gameplay will feel familiar to anyone who has played Towerfall’s versus mode, though Samurai Gunn is more focused on close-ranged combat as your bullets are limited and easily deflected. There’s not a great deal of content for the 15 dollar price tag, with nothing but the basic versus mode and a co-operative survival mode. However, the game has a great deal of polish put in to it and part of the fun is discovering the subtler mechanics, like changing stances or playing dead– or just tapping the up button in the post-game scoring to make it look like your character is laughing. The game also has phenomenal sound design, with excellent music by Doseone (which was released as an EP with added vocals), and a different voice for each character. 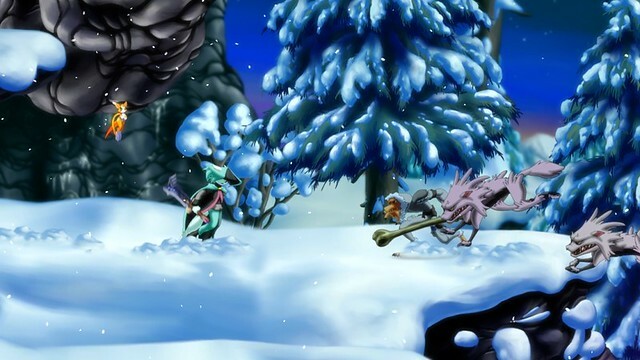 Dean Dodrill’s beautiful brawler Dust: An Elysian Tail was released this week on Xbox Live Arcade. In development for four years, Dust was the winner of the 2009 Dream.Build.Play competition. Impressively, Dean (a professional animator) is responsible for almost all of the animation and programming for the game. The soundtrack was created by Hyperduck SoundWorks, who also did the OST for Iji. My Little Pony: Fighting is Magic is a fighting fan game that’s currently under development. Created using 2d Fighter Maker 2002, MLP:FIM will eventually feature 17 ponies from the popular animated show. Each character has its own unique movelist that includes launchers and special magic attacks. The developers have said the game, which uses four buttons, most closely resembles Marvel vs. Capcom in design. Here’s a newish trailer that shows off two new characters from the highly-anticipated MUGEN fighting game Card Sagas Wars. The two characters are Lenneth from Enix’s PS1 RPG Valkyrie Profile, and Valkyrie from Valkyrie no Bouken, a Japan-only Famicom game by Namco. 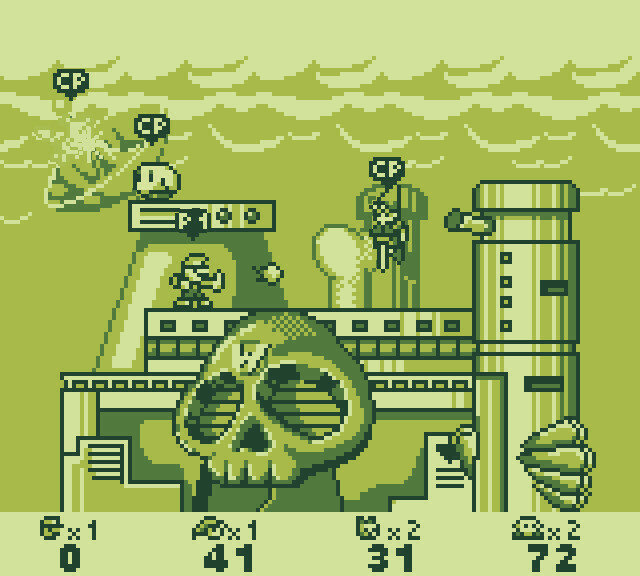 Super Smash Land is a cute Game Boy demake of the popular Super Smash Bros. series of games. It features six characters (Mario, Kirby, Link, Pikachu, and two unlockable characters), three game modes (Arcade, Endless, and Versus), and up to four human or CPU players. The control scheme has been simplified to one jump button and one action button. The gory 2d slash ’em up Vampire Smile was recently released on XBLA by James Silva and Ska Studios. It’s the sequel to The Dishwasher: Dead Samurai, which came out a year ago. After 8 years of development, Bomber Games has released version 5, the final version, of their Streets of Rage Remake. An incredible tribute to the Streets of Rage/Bare Knuckle series of beat ’em ups, SORR features 19 playable characters, 64 enemies, 103 stages, and 76 remixed, remastered music tracks – all based on the three original Sega Genesis games and their Game Gear conversions. On top of that, it sports an impressive number of editors, modes, options, and other improvements. Dong Dong Never Die is a 2009 Chinese fan game that has digitized sprites and parodies popular fighting game series like Street Fighter and King of Fighters. According to one of the developers, it took 3 years of work to make and uses 10,000 photos! And it shows, actually – the features include 36 animated backdrops and 24 unique playable characters, each with a full complement of normal moves, specials, and supers. DDND is not particularly balanced or complex or anything, but I had a good time playing through the Story Mode, which takes you on a quest to find and defeat the mysterious “Biochemistry Man”. The supreme goofiness is obviously the star of the game, but it also handles better than most fan-made fighters out there. A lot of (potentially misplaced) love went into this one! I especially like the long ending sequence that shows off the actors behind-the-scenes. You can download DDND here, from Game Front. Also, apparently the developers of DDND were working on a PC/PSP HD remake of Streets of Rage and reveal this if you win the extremely cheesy 1-on-7 battle after the credits. If you can’t be bothered to win yourself, here’s a video of it and the “hidden” ending. Thanks to vani77a for sharing this on the forums.